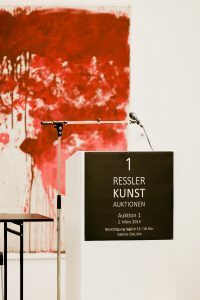 Auctions held by RESSLER KUNST AUKTIONEN GMBH are open to the public. This means that anyone has free admission. 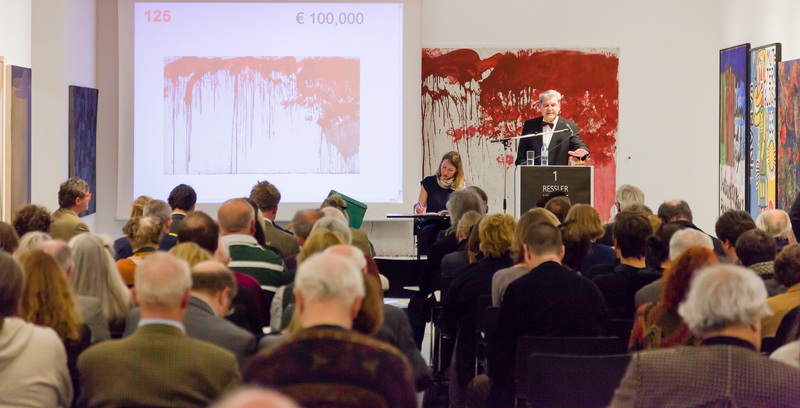 Even if you do not wish to bid, every auction is a fascinating event and we invite you cordially to attend. Auction dates are published on this website. However, we would be happy to send you our Newsletter in order to inform you in a timely fashion. Please just give us your email address. The best information about our offerings is contained in the catalogue – whether online or as a print edition. The print catalogue is available at the auction house for € 20. Upon request, we would be happy to send you the catalogue by mail, if you wire us this sum to our account. Our catalogues feature illustrations of every work of art. There is a detailed description specifying the artist, his dates of birth and death, the work’s title, technique and dimensions, the signature and potentially the period of creation, indications of the provenance and the catalogue raisonné, as well as – in cases of graphic reproductions, photographs and sculptures – the total number of copies. The prices listed for the works of art are starting bids. This means that the auction begins with this sum. Bids increase in increments of about 10% above the last bid. Our experts compile all the information listed in the catalogue carefully. These are often complemented by short scholarly essays about the artist or the work. 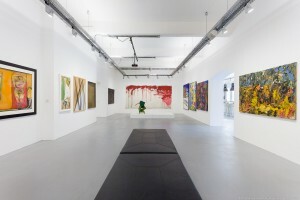 Before each auction, there is the possibility of viewing the artworks destined for auction. Before auctions, our auction house is also open on Sunday. If you share your email address with us, we are happy to invite you to vernissages, to lectures and events. Should you require further information on a specific work of art, please do not hesitate to contact us. Should you wish to bid inside the auction room, you will require a bidder’s number. This is issued without cost and without any obligation to bid. However, we do require your name and address – and thus, a form of picture ID. When the artwork you wish to bid on is called, just raise your bidder’s number. Sales are then registered under your personal bidder’s number. If you do not have time to attend the auction in person, you can deliver your absentee bid in writing. However, it must be delivered one hour before the beginning of the auction, at the latest. Bid order forms are included in every catalogue. You can also find the form as a PDF file for downloading on our website. It is advisable to send your bid order form via fax or email rather than by regular mail, to ensure its timely delivery. In addition, you have the opportunity to bid directly on this website. If this is your first time as a bidder, we require a copy of your picture ID via mail or fax. As soon as your order is received, you will receive confirmation. If you are prevented from attending the auction in person, you can also bid via telephone. In this case, please send us the bid order form, but without indicating the highest bid you are willing to place. One of our employees will call you during the auction and bid on your behalf. In this case, you will also receive a confirmation immediately upon receipt of your bid order form, stating the approximate time at which you should expect our call. You also have the opportunity to follow the auction live via your computer or tablet computer and bid via mouse click. This also requires prior registration, and therefore a copy of your picture ID. Auction House Representative: The Broker is a representative of the Auction House, but not its employee. As your personal person of confidence, she bids for you at auction, either to a previously agreed maximum amount or during the auction via telephone. The Broker preserves your anonymity not only during the auction, but, if so desired, also during the invoicing process. In cases of two bids for the same sum, the Broker takes priority and thus is awarded the sale. Her services are invoiced at 1.2% of the highest bid. We make every effort to call the objects of art in the order given in the catalogue. However, changes are possible. The auctioneer may change the order of calls and call objects of art together or separately. Bidding steps generally increase in increments of approximately 10% of the previous bid. For example, if the starting bid is € 3,000, the following ones will be € 3,200 – € 3,500 – € 3,800 – € 4,000, etc. The sale is awarded to the highest bidder, unless his bid remains under the minimum sales price agreed with the seller. In that case, the auction house has the possibility to award a “conditional sale“. This means that the auction house must ask the seller of the object of art to consent to this lower-than-agreed price before the sale can be considered final. In case of a successful bid, the bidder is obliged to pay the sales price of the object of art. This consists of the final bid, the buyer’s premium, resale royalties and value added tax, where applicable. According to differential taxation, the buyer’s premium is 25% of the final bid. In this case, value added tax is included in the provision. According to regular taxation, the buyer’s premium is 21% of the final bid. In this case, value added tax of 13% will be added. In the case of works by living artists and artists who died no longer than 70 years ago, we are obliged to collect resale royalties. These are paid to the artist or his estate. It is calculated at 4% of the final bid if the final bid is no more than € 50,000, an additional 3% for the following € 150,000, an additional 1% for the following € 150,000, an additional 0.5% for the following € 150,000, and for any amount beyond this sum 0.25%. However, resale royalties may amount only to a maximum of € 12,500. Purchased objects of art that have not been picked up must be placed in external storage at the buyer’s expense after 4 weeks. All works of art are insured by us; however, this insurance coverage terminates 8 days after the final bid or sale. Objects of art that have remained unsold at auction will be offered via an online auction immediately following the regular auction. If we have your email address, we will inform you about such events. However, the possibility to inspect the works of art after the auction is extremely limited. 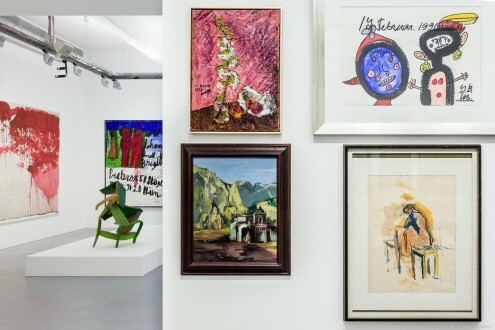 If you do not pick up your purchased objects personally, they will be handed over to our contractual partner, the art carrier and transport company hs art service austria. This company will ensure professional packaging, insurance and delivery. However, the costs of this service must be borne by you. You will receive our invoice by email, fax or regular mail. Given our role as agents of the sale, invoices must be paid within 8 days. Cheques can only be accepted if a bank guarantee is submitted with them. Without such a guarantee, the delivery of objects of art purchased at auction will be delayed until funds have been credited to our account. In case of export to non-EU countries, the value added tax specified above is not applicable; in this case, however, the export must be handled by a shipping company. Please contact hs art service austria, telephone +43 – 1 – 614 25 0, fax +43 – 1 – 614 25 20 or via email to hsartserviceaustria. The shipping company will invoice you directly for the costs of transport and insurance. Of course, you always have the option of organising transportation for the work of art yourself.